Water: Available from Otter Creek adjacent to the campsite. As the name implies, Campsite #29 is near Otter Creek on the Maddron Bald Trail. 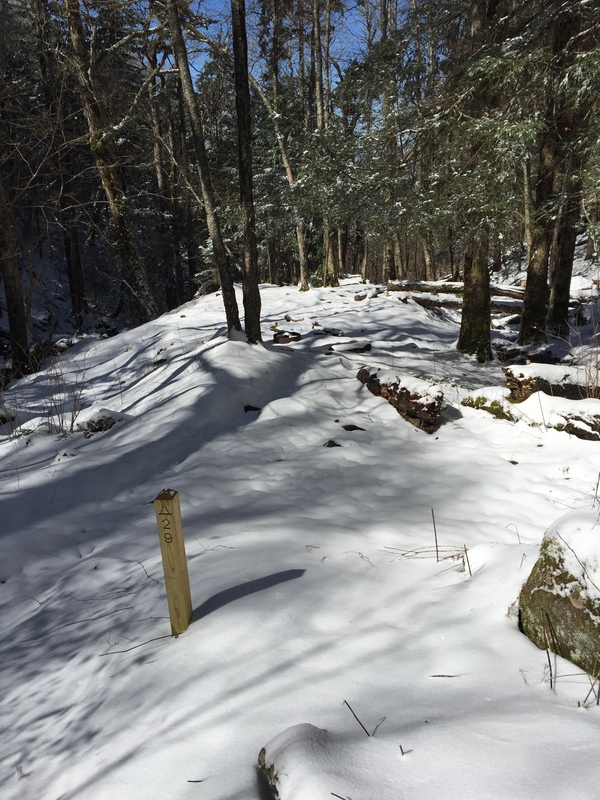 AT the time of the hike on February 29, 2016, there was over 6 inches of snow on the ground so the rating of the site is impacted somewhat by that fact. There are two fire rings with ample space for a few tents although the bear cables are very close to the lower section of the site. The site is sufficiently off the trail but not by far. This entry was posted in Campsites and tagged Campsite 29, Otter Creek on June 1, 2015 by blogginggazelle.